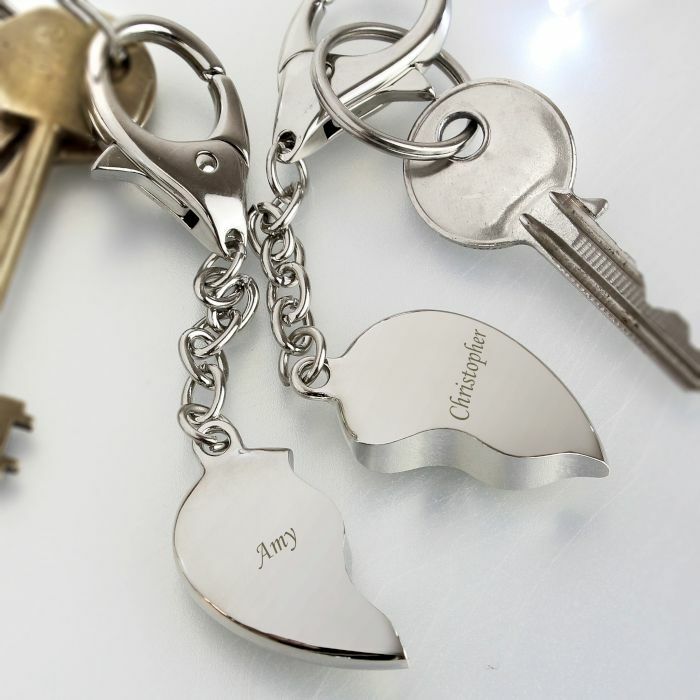 The Personalised Two Hearts Keyring are a loving way to give a piece of your heart to someone you truly love. The hearts become one when placed together, and along with your names expertly engraved on each heart ‘WOW’ an exceptional statement gift. 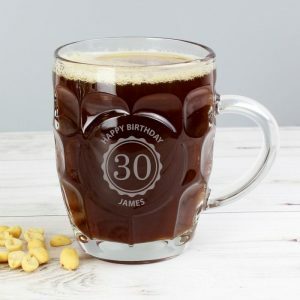 A gift that’s perfect for any romantic occasion, and would even make a super idea for mum on mothers day, or a friends birthday present. 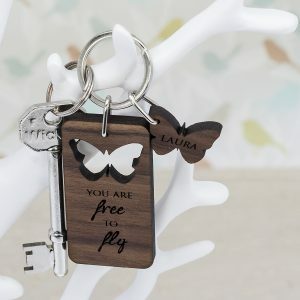 A thoughtful and personal gift, and one that will look attractive when added to any set of keys. 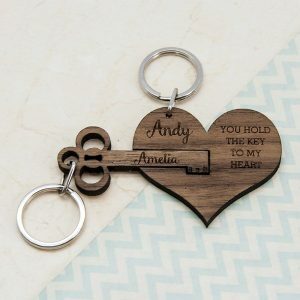 These broken hearts can be personalised with any 2 names using 11 characters per name, by doing this you create the ultimate personalised gift that will leave them in awe of you. 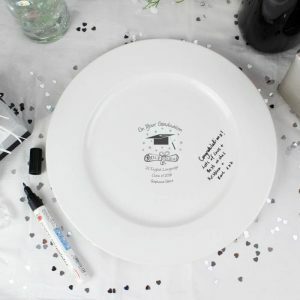 A charming engagement or wedding gift, a thoughtful wedding anniversary present for wives or a valentines gift for her. 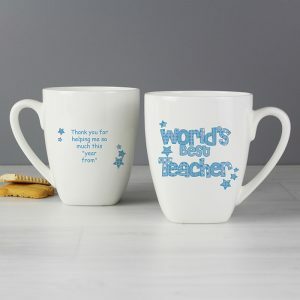 A loving way to share your heart, your home, your life.